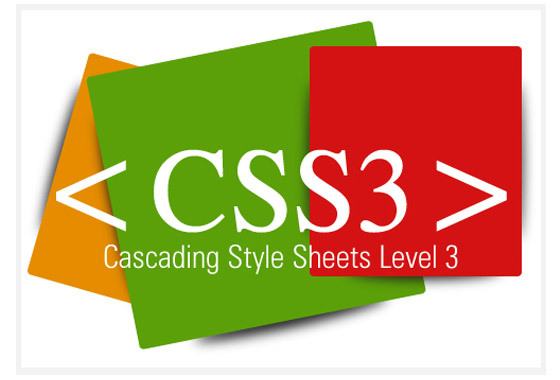 CSS3 builds on the functionality and flexibility of its predecessor. Here's how to use it to style your pages and add effects. By now you should be familiar with the idea that all styling elements must be removed the main flow of code in HTMLS. From now on, pure CSS is used to define the layout and look of your pages. CSS3 is being developed alongside HTMLS. Here we'll explore two of the most radical effects applied with CSS - shadows and rounded corners- and how CSS3 addresses these commonly requested features of modern web design in a clean and simple manner. Just as HTMLS improves on HTML4.01, CSS3 takes the best of what was already in place in CSS2 and adds new elements such as drop shadows, rounded corners and animations that allow designers to build more flexible pages in native code, rather than resorting to third­ party image editors and plug-ins. CSS3 lets you layout textual content in columns, as in a magazine, specify where breaks fall and how wide the gaps should be between columns. 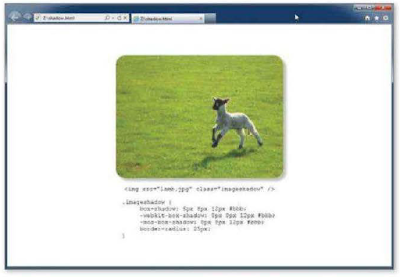 You can use images as borders, stretching them as appropriate, and target elements specifically on the page. The :hover modifier already makes it possible for an action to be carried out only when a visitor’s mouse is in a particular position in relation to the content on your page. New modifiers such as :checked, :enabled and :not let you apply styles to selected radio buttons, enabled page elements and even objects that are not of a specified kind. Web browsers that don't need the specific -moz and -webkit targets will simply ignore them. This workaround is easy to implement, compliant and won't throw up an error. We'll put this into practice by creating a simple CSS3 button using code instead of graphics. You may wonder why we'd do this when we could just make a button in Photoshop, compress it and embed it within the page. There are two very good reasons. First, it makes lighter demands on your server. The code below that defines the two button states is 285 bytes in length. Doing the same with images would require two graphics- one for the up state and one for the down - and that would total several kilobytes each. Savings of this type soon pay dividends when implemented across every page of a busy site. Second, the content of the button itself - the words 'Download Linux' - is already search engine-optimized. If you were using a graphic, you would need to use <alt> tags to describe the content to search engine crawlers, and possibly also apply a 'title' attribute to the <a> tag to further improve its indexing. Screen readers will see our button as nothing more than a standard link to which we've applied some styling, which will greatly ease navigation for visually impaired users. The button has no fixed dimensions, so will always be 10 pixels larger than its contents in each direction, allowing us to re-use the code wherever we want to create a button by simply placing a link inside a <div> tag called 'button'. By combining the 10-pixel padding with CSS3's new border-radius attribute, we've given our button rounded corners and then we've given it a sense of depth by extruding the whole thing by five pixels, using the border outset and inset attributes on the up state and down state buttons respectively. One further change made to the downstate but ton - which is displayed when the visitor hovers their mouse over the link - is to shift the text one pixel up and to the left. We have done this by reducing the top and left padding to 9px in each case, and increasing the right and bottom padding to 11px to maintain the overall size of the button. The text now follows the motion of the button in stepping back into the page. When specifying the padding on each of the sides of our but ton, we are able to use just ‘10px’ once on the up state button as each is the same, but on the down state button we have to specify the padding on each size individually ('9px 11px 11px 9px'), starting with the top and working around in a clockwise direction. Previewing the results in Chrome, Firefox and Internet Explorer, we can immediately spot a problem here. Chrome (which uses Webkit) and Firefox (which uses Gecko) perform as we would expect, but IE9, which uses the Trident rendering engine, doesn't, despite supporting the border-radius class. IE9 doesn't currently support text shadows rendered in CSS3, so it ignores these commands when parsing the stylesheet. The result will be solid text without a drop shadow or an outline. As a live effect, we can combine our shadow with other effects, such as the border radius that we used earlier, and it will follow the contour of the element to which it’s attached. CSS3's enhancements will considerably reduce the amount of work that's involved in building a website. What would once have involved the use of graphics and animation tools can now be achieved natively using nothing but code, thereby tightening the development cycle, reducing server load and ensuring that pages load faster for your visitors.